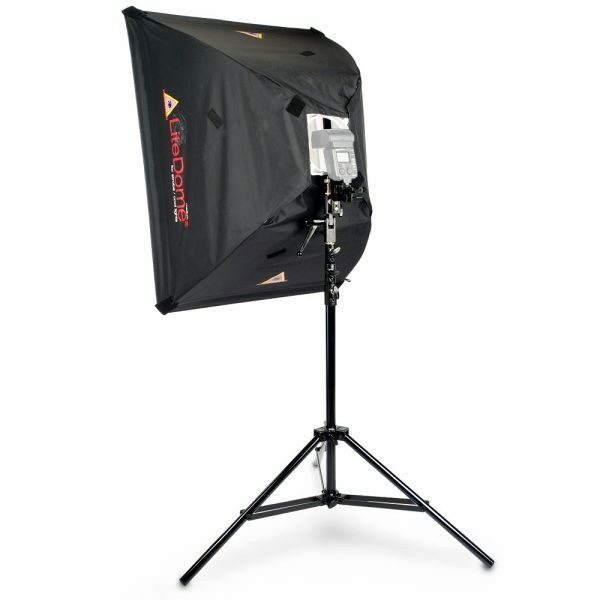 This kit allows you to use your shoemount flash in a studio sized soft box. Quick and portable, this kit uses the same mounting hardware as our smaller shoe flash kits, but gives you a much larger and softer light source. The diffusion face is easily removed, allowing you to go from soft, diffused lighting to high-contrast for a variety of light control options without changing your set up. Dimensions: 24.5 x 32 x 17"
Dimensions: Extends to 8ft, 1"